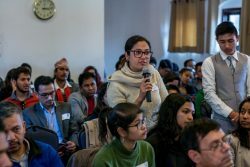 On February 9, 2017, we convened a prestigious panel of movers and shakers in the world of data and agriculture in Nepal to open the competition through an impact-driven engagement on how Data-Driven Farming can help pave the way for stronger and lasting impacts for Nepali farmers. 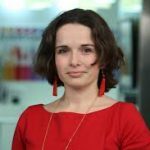 “Data should no longer reside on computer servers at research institutes. We must make it open and accessible to Nepal’s farmers, agribusiness owners, and all stakeholders across the agriculture value chain,” remarked USAID Nepal Mission Director as he opened the Prize and invited participation from a broad range of innovators in Nepal. The challenge is to find tools and approaches that source, analyse and translate data into action and help Nepali smallholder farmers improve productivity. The competition will incentivize a broad range of local and global innovators to catalyse the development of data tools that are tailored for Nepal’s varied terrain. The application deadline is on the 6th of April. With the collaboration of CIMMYT, ICIMOD, Microsoft innovation Center-Nepal and GODAN as partners of the initiative, the competition will provide a range of capacity development and professional support to enable innovators to effectively develop their prototypes, and interact with Nepal’s farmers to understand their needs. 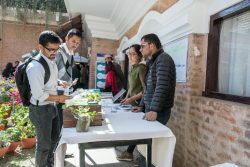 The event, held at the Yala Maya Kendra, in Patan Dhoka, Nepal, was attended by over 100 participants invested in the agriculture sector in Nepal, including the Ministry of Agriculture, private companies as well as as range of social entrepreneurs and innovators. Discussions reinforced the need for better aggregation, packaging, and dissemination of open data. Exhibition of existing and emerging digital solutions by innovators. What kind of data already exists, can be generated, and where is it? Global trends, approaches and experiences in using data-driven solutions and technologies — impacts of the global data revolution for agriculture. The Role of ICT and mobile applications in data use for agriculture — existing and emerging solutions and how those can be expanded, upscaled and replicated. Challenges in accessing data in Nepal and potential applicability of solutions. Private Sector experience in making data and information available in Nepal.